Part of this blog is going to be hooking you, my beloved reader, up with great deals and ideas for your entire family. Each week, I will post one link, along with a small blurb about what I liked about the site or its idea, or the product or book and hopefully provide you with new and fun ideas to follow! 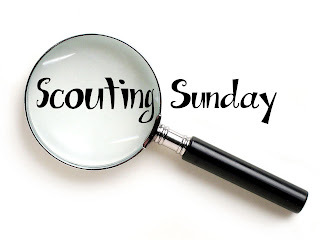 So without further Adieu, I hope you enjoy our first Scouting Sunday! I've been recently looking for things to keep my 4.5 year old busy, and I ran across this site and was instantly engaged. There are activities for all ages and grade levels, different holidays and situations, and I guarantee you'll be able to find hundreds of new activities to do with your children! We made Oobleck yesterday (you can see our post on making Oobleck here) I chose this particular site from Mossy Mossy because not only did it give the directions on how to make the oobleck, but also it gave interesting information on how it worked. (I didn't go into near as much detail on my post, simply giving the recipe and showing you how much fun it was!) For older children, utilize the information that they provide and make it into a science lesson as well! Read my review on Suzanne Collins' "The Hunger Games"
I make these delicious corn cakes all the time, and they're a big hit in my household. The best part is that they're so tasty and they have a hidden vegetable inside! This recipe is wonderful because it is simple and it is tried and true through the years. I enjoy this particular website because it like a blast from the past and most of the recipes that you find are "from scratch" recipes, requiring very few processed ingredients.